The service offered to professional yacht operators, created to assist with and organise the tedious problems encountered upon arrival in foreign ports. Yacht assistance is specifically aimed at helping the captain in matters such as port clearance, customs, berths, stores, spares and supplies, medical requirements, technical assistance, hotel and dining arrangements, travel reservations, private aircraft bookings and any other personal service that might be required, by the captain, hiw crew or his guests. 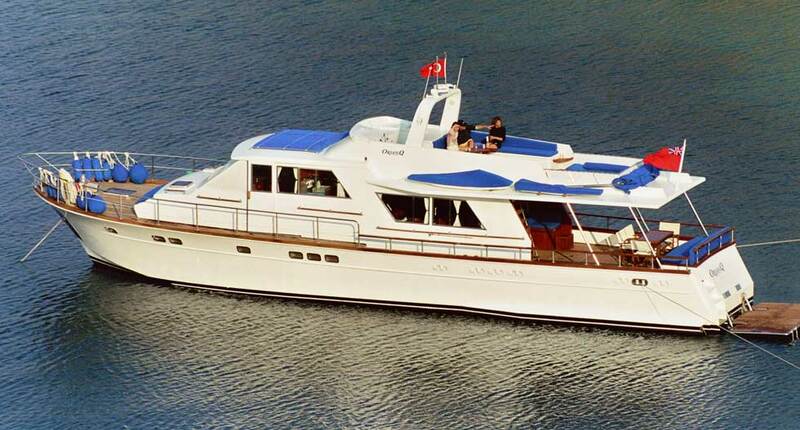 Gündüz NALBANTOĞLU (multi lingual with more than 40 years experience in yachting) with his back up team of personnel, is at your disposal to relieve you of the problems that you may encounter leaving you free to enjoy your visit and enabling you to concentrate on your own important shipboard affairs.